With spring on the horizon that means Easter is quickly approaching. Do you celebrate? We always do a small basket for my daughter which includes a few treats and some new clothes for the warmer weather. I just recently went through her warm weather clothes and I still can’t get over how quickly kids grow! I’m always on the lookout for deals and steals and one of my go-to locations is TARGET! 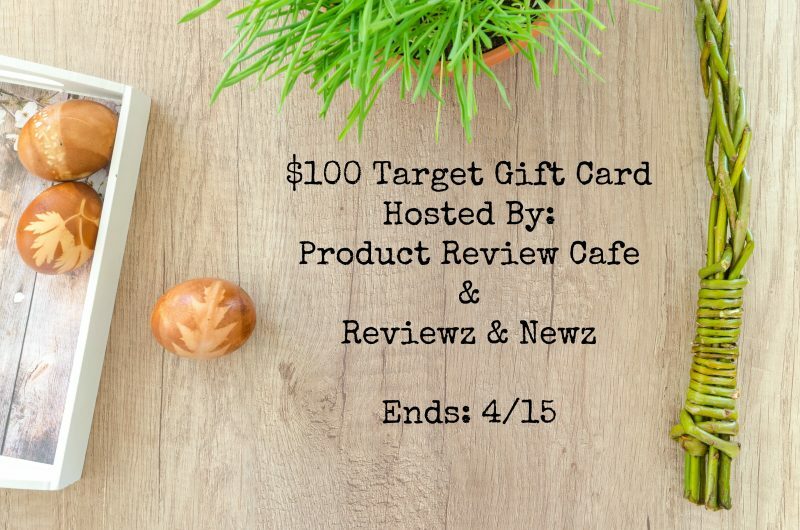 In celebration of a new season and upcoming holiday, we are giving away a $100 Target Gift Card. Do you have any favorite Easter memories from growing up? For me, we always got a new fancy spring dress, the bunny would hide eggs, and our Easter baskets would in a new place each year; finding the basket was part of the hunt! Do you have any plans for Easter this year? Not big on celebrating Easter? How about celebrating the arrival of warmer weather? How do you plan on welcoming spring? I normally plant new flowers, work on getting our yard healthier, and enjoy some serious spring cleaning. Think of the things you could buy at Target to help these efforts! We’d love to hear how you plan on spending the gift card if you win! Either way, good luck and thank you for entering! Disclosure: All opinions are 100% mine. This giveaway is in no way associated with, sponsored, administered, or endorsed by Facebook, Twitter, Google, Pinterest or any other social media network. Open to US only, must be 18+. Confirmed winner(s) will be contacted through email and will have 24 hours to respond before a new winner will be drawn. No purchase necessary. Void where prohibited by law. The sponsor will be responsible for product fulfillment to winner(s) of the giveaway. The disclosure is done in accordance with the Federal Trade Commission 10 CFR, Part 255 Guides Concerning the use of Endorsements and Testimonials in Advertising. If I won, I’d use the gift card towards outdoor decor & furniture. Their Latigo rattan ‘egg chair’ is amazing! I would probably use this to buy an Instant Pot. I'm really curious to try one.